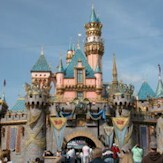 'Kristi Kohm Authorized Disney Vacation Planner - Disney Vacation Package Experts! Thankful that "it all started with a MOUSE!" Hi! My name is Kristi and I’m an accountant and live in Lexington, KY with my husband, Bill, and 2 daughters, Hannah & Hadley. My 1st trip to Disney World wasn’t until 2007. Since then, we’ve gone to Disney World 8 times, been on 2 Disney Cruises, ran in 2 Run Disney races and are DVC Members! We also have a Disney guest room in our home & a Disney Christmas tree! 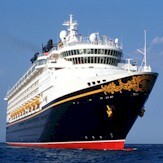 My favorite Disney Destination is the Disney Cruise. Castaway Cay is PARADISE! I believe life is all about making memories...let me help you make them MAGICAL for your family! After years of giving Disney travel tips to friends, I’m excited for this opportunity to be a travel consultant specializing in Disney Destinations! Academy Travel has been designated as an official "Earmarked" travel agency by the Walt Disney Travel Company and is an Authorized Disney Vacation Planner. As a Graduate of the College of Disney Knowledge, let me help you plan your next Walt Disney World, Disney Cruise Line, Adventures by Disney or Disneyland Resort vacation! 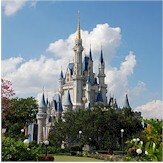 Why book your trip with an Authorized Disney Vacation Planner? Book your Disney vacation with a travel agency that’s been specially designated as an Authorized Disney Vacation Planner. Unlike, some other agencies, Academy Travel’s extensive knowledge of the Disneyland® Resort, Walt Disney World® Resort, Disney Cruise Line®, Adventures by Disney, Disney Theme Parks, resort hotels, dining, recreation- and other magical amenities- can help you get the most of your vacation. And, the assistance of our Travel Professionals can help you customize a Disney vacation that’s right for you, your family and your budget. It’s the most magical vacation destination in the world. The Walt Disney World¨ Resort is the place where worries disappear, fun reigns supreme and dreams coming true are the everyday. Four Theme Parks, two Water Parks, over 20 themed Resort Hotels, two nighttime entertainment dis­tricts, and a state-of-the-art sports complex immerse you in a world filled with exhilarating excitement, fantastical thrills and whimsical wonder. The happiest place on earth just got happier! Plan for enough days to discover two amazing Theme Parks - the newly expanded Disney California Adventure® Park featuring the new 12-acre Cars Land and the one-and-only original Disneyland® Park with its world-famous attractions and beloved Disney Characters. Stay at the Hotels of the Disneyland Resort where an incredible vacation becomes an unforgettable storybook escape. Let your dreams set sail on a Disney Cruise Line vacation for everyone and every age! With so many unique adventures and magical moments, everyone will think this vacation was designed just for them! Families will delight in a special club with hilarious game shows, karaoke and activities, plus a family pool and deck parties. For adults, how about an afternoon of pampering and fitness or lounging by the adult pool? 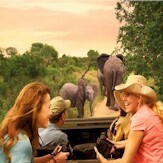 Discover the magic of an Adventures by Disney vacation. There are unforgettable journeys with destinations Disney has never taken guests before. Guests travel in small groups limited to 40 guests, and are led by two Disney trained Adventure Guides with the gift for family fun. Each adventure is filled with immersive, interactive experiences. Like zip-lining through a Costa Rican jungle, or pasta making in Tuscany. Do you have a friend that's interested in a Disney vacation? Feel free to recommend my services. No part of this website may be reproduced in whole or in part without the written consent of Academy Travel, Inc.
Website maintained by Academy Travel, Inc.